We are presently offering the acclaimed A Family for Life at a brilliant price. Don't pass it over - purchase the A Family for Life online today! Victoria tries desperately to keep her three children from learning she has cancer. She soon discovers it won’t be that easy. Josh always wanted to find that one woman to fall in love with and have a family. After meeting Victoria, he is determined to help her through this crisis. Victoria has a secret she is keeping from everyone she loves because her family has already known so much pain. She has no idea one man will enter her life and make her change her point of view on life, love, and family. Josh ran into the woman of his dreams and had no idea when he saw her again she would be in the struggle of her life. Despite the timing, he is determined Victoria and her family would be his no matter what. Victoria struggles to open herself up to a man when she is so vulnerable, but Josh is a determined man. When her family steps in, she has little chance for resistance. The moment she regrets pushing him away and she has a change of heart, a disaster occurs which could cost her any future with the man she loves. A Family for Life is an amazing story with love on every page. I was awed by the level of talent which birthed such a poignant and relevant love story. I found the struggle for love to be on a higher level of emotion; so many romances skim the surface of the true strength it takes to take a leap of faith when there is no guarantee of tomorrow. Josh is a hero like no other; not once did he give up when many men had walked away. He loves with his whole heart, soul, and body. My only warning is to make sure you have a box of tissues because even the hardest heart will find it difficult to get through every page without shedding a tear or two. 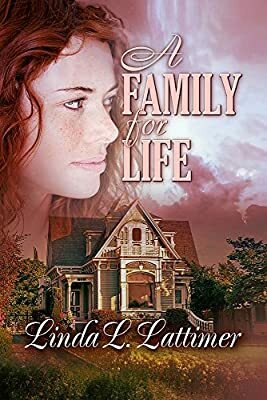 I highly recommend A Family for Life for anyone looking for a deeper emotion in their romance reading because this story takes love and romance to the next level.